[S12] C. Arnold McNaughton, The Book of Kings: A Royal Genealogy, in 3 volumes (London, U.K.: Garnstone Press, 1973), volume 1, page 352. Hereinafter cited as The Book of Kings. [S38] John Morby, Dynasties of the World: a chronological and genealogical handbook (Oxford, Oxfordshire, U.K.: Oxford University Press, 1989). Hereinafter cited as Dynasties of the World. Marie Amalie Anne Prinzessin von Sachsen was born on 26 September 1757. 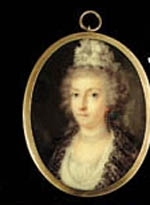 She was the daughter of Friedrich Christian Leopold Kurfürst von Sachsen and Maria Antonia Prinzessin von Bayern.1 She married Karl II Herzog von Zweibrücken, son of Friedrich Michael Pfalzgraf von Zweibrücken-Birkenfeld and Maria Franziska Dorothea Pfalzgräfin von Sulzbach, in 1774.1 She died on 20 April 1831 at age 73. Maximilian Prinz von Sachsen was born on 13 April 1759. 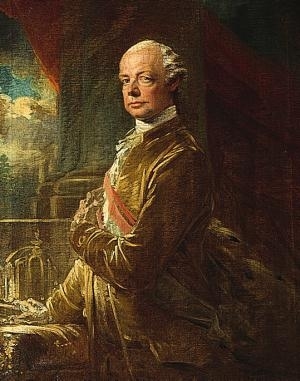 He was the son of Friedrich Christian Leopold Kurfürst von Sachsen and Maria Antonia Prinzessin von Bayern.1 He married, secondly, Maria Luisa Carlota di Borbone, Principessa di Parma, daughter of Luigi I di Borbone, King of Etruria and Maria Luisa de Borbón, Infanta de España, on 7 November 1825. He married, firstly, Carolina Maria di Borbone, Principessa di Parma, daughter of Ferdinando I di Borbone, Duca di Parma and Marie Amalie Erzherzogin von Österreich, on 9 May 1792. 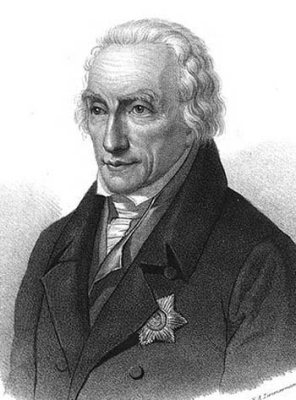 He died on 3 January 1838 at age 78. Carolina Maria di Borbone, Principessa di Parma was born on 22 November 1770 at Parma, ItalyG. 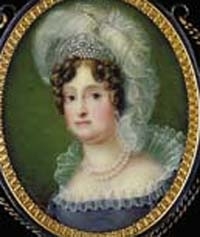 She was the daughter of Ferdinando I di Borbone, Duca di Parma and Marie Amalie Erzherzogin von Österreich.1 She married Maximilian Prinz von Sachsen, son of Friedrich Christian Leopold Kurfürst von Sachsen and Maria Antonia Prinzessin von Bayern, on 9 May 1792. She died on 1 March 1804 at age 33. [S38] John Morby, Dynasties of the World: a chronological and genealogical handbook (Oxford, Oxfordshire, U.K.: Oxford University Press, 1989), page 109. Hereinafter cited as Dynasties of the World. [S12] C. Arnold McNaughton, The Book of Kings: A Royal Genealogy, in 3 volumes (London, U.K.: Garnstone Press, 1973), volume 1, page 421. Hereinafter cited as The Book of Kings. Maria Luisa Carlota di Borbone, Principessa di Parma was born on 2 October 1802 at Barcelona, SpainG. She was the daughter of Luigi I di Borbone, King of Etruria and Maria Luisa de Borbón, Infanta de España.1 She married, firstly, Maximilian Prinz von Sachsen, son of Friedrich Christian Leopold Kurfürst von Sachsen and Maria Antonia Prinzessin von Bayern, on 7 November 1825. She married, secondly, Francesco Rossi, Conte Rossi on 22 July 1849. She married, thirdly, Cavaliere Giovanni Vimercati on 19 February 1855. She died on 18 March 1857 at age 54 at Rome, ItalyG. She gained the title of Principessa Maria Luisa di Parma. 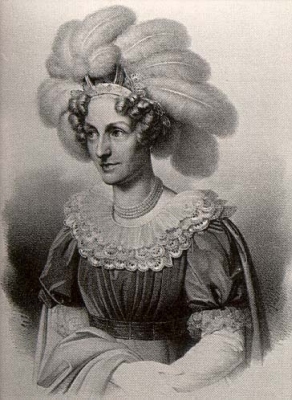 Marie Ferdinanda Amalie Prinzessin von Sachsen was born on 27 April 1796. She was the daughter of Maximilian Prinz von Sachsen and Carolina Maria di Borbone, Principessa di Parma.1 She married Ferdinando III Erzherzog von Österreich Granduca di Toscana, son of Leopold II von Österreich, Holy Roman Emperor and Maria Luisa de Borbón, Infanta de España, on 6 May 1821. She died on 3 January 1865 at age 68 at Schloss Brandeis, BohemiaG.